After three days in the party hostel, I was happy to head down to Zona Sur to stay with Alana’s old roommate, Alison, and her new roommate Rebecca. My luck with cabs is similar to my luck in other areas of life. During the journey, he repeatedly shouted out the window at people, asking for directions; he asked if I drank whiskey; he proceeded to ask me to give him a cigarette when I repeatedly asserted that I had none. 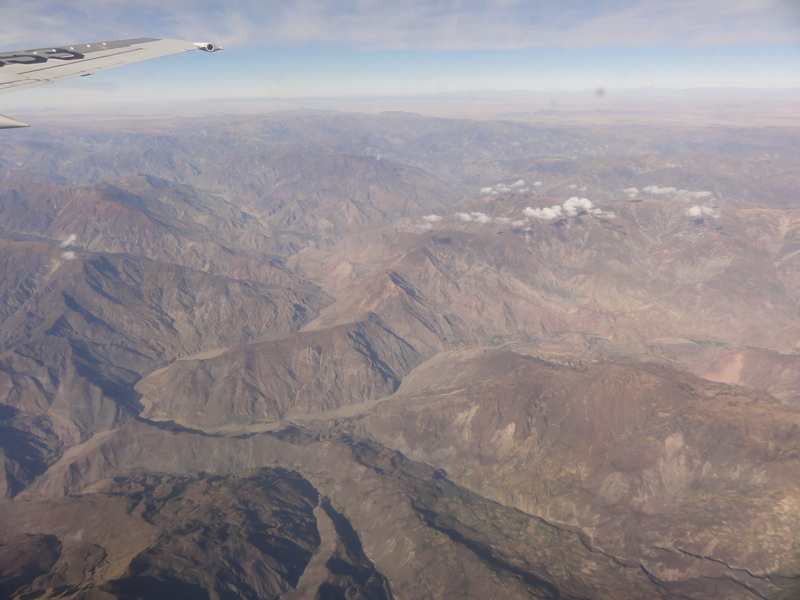 Regardless, I got there and enjoyed my first hot shower in Bolivia and a comfy bed I did not have to climb into. I also feel incredibly grateful to have met so many people traveling, especially ones as generous and fantastic as Ali and Rebecca. School had already started, so Alison and Rebecca were gone on Tuesday, leaving me to explore the same area of La Paz I’d lived in last time. 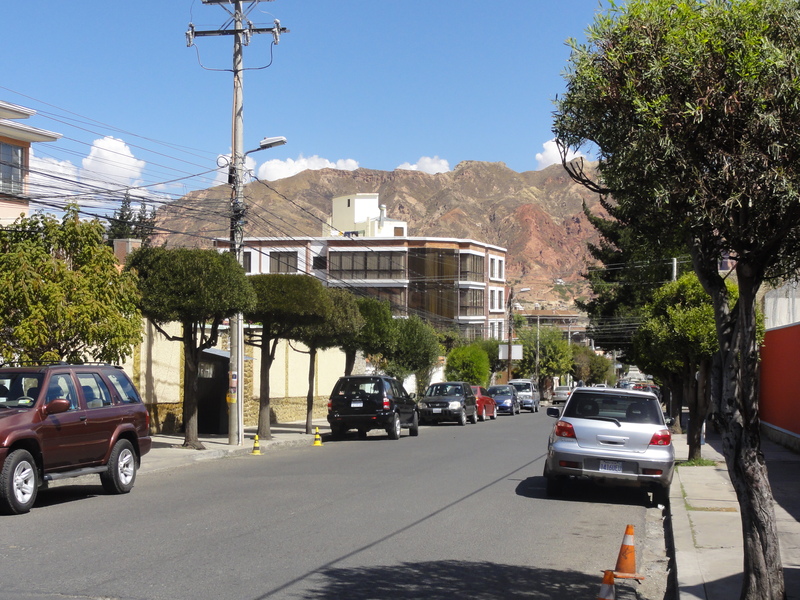 Zona Sur has been compared to cities in Arizona that are suburban and surrounded by mountains. Regardless, the dusty mountains that surround the city are part of what makes it breathtaking, and somewhere off in the distance is the Muela, where Alana and I hiked last year. That night, I accompanied Rebecca around Zona Sur to find the post office and a Kodak store. 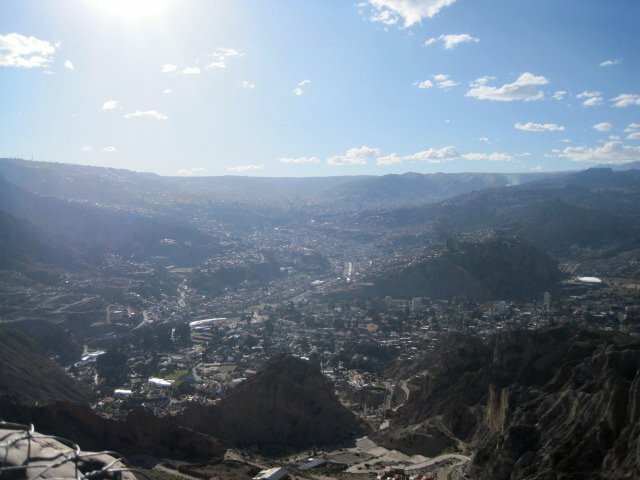 She was right; if I spent time in La Paz, I could totally learn Spanish. They speak slower there and mostly Spanish, so I’d be forced to learn. At the post office, she had to literally glue the envelope closed, and I wish I’d taken a picture of it. 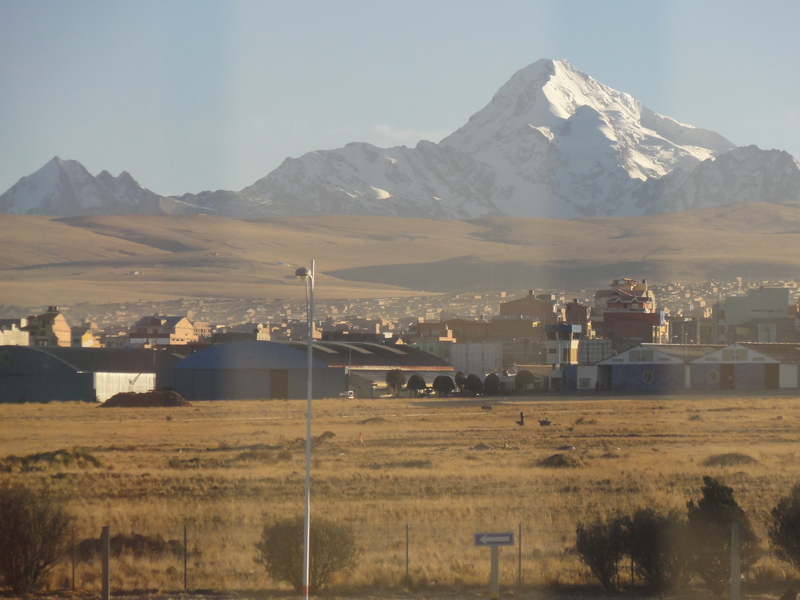 Oh, Bolivia. I spent my last night in La Paz at Oliver’s Travels, and I’m happy to say that I conversed with the cab driver on the way there and all went smoothly, save for accidentally telling him I’d spent 40 days in La Paz last year as opposed to 14. Two Pacenas, good tunes, and good company closed out my trip to La Paz, and I headed to the airport the next day to return to Buenos Aires.